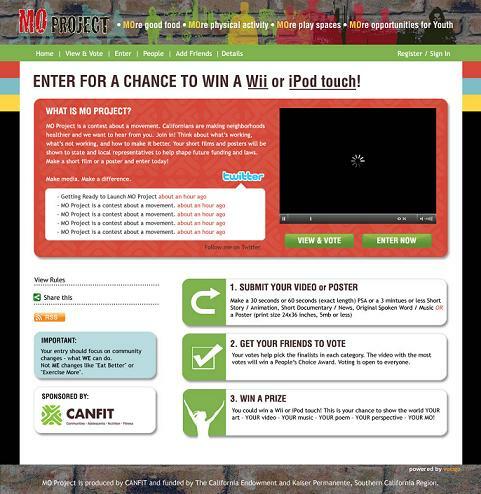 With funding from the California Endowment and Kaiser Permanente (Southern CA Region), CANFIT produced MO Project - a statewide online media contest for youth ages 13 - 18. Youth made videos, posters or spoken word pieces about what they wanted MOre of to improve the health of their community. During the contest, CANFIT lead 8 regional MO Project Youth Convenings across the state of California. See where MO Project went. The MO Project Youth Convening is an interactive, culturally relevant training designed for youth to use media as a way to advocate for healthy eating and physical activity changes in their community. MO Project is working to create healthy communities by changing systems that affect two of our most basic needs: food and physical activity. The main way we’re doing it is encouraging youth to think about food and physical activity systems.